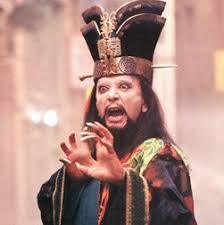 All I Need to Know I Learned from ‘Big Trouble in Little China’. #1 – Independence is manly. #2 – Muscle shirts are only to be worn by men who are a) jacked and b) pricks. #3 – Childhood fears don’t really go away. #4 – Reporters find the need to put themselves into ludicrous amounts of danger to get something called a “scoop”. Don’t become a reporter. #5 – You see a dude dressed in samurai gear, he’s probably magic. Do not mess. #6 – That group of old men who spend all their time playing some board game know something. #7 – Next time someone throws a knife at you, just grab it out of the air and throw it back. #8 – If given the option, leave Kim Catrall behind. This entry was posted in Uncategorized on October 11, 2008 by gala5931. Ever notice that Jack Burton is actually the worst hero ever when it comes to actually being a hero? Gord I love this movie. What, Egg? What will come out no more?? ?